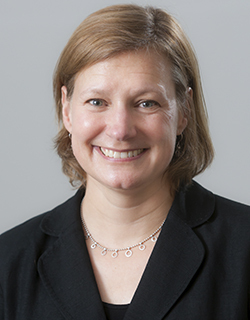 WALTHAM, MA | EDC principal research scientist Leslie Goodyear has been elected president of the American Evaluation Association (AEA). She will serve a three-year term beginning as president-elect in January 2017 and then as president in 2018. The 7,700-member association, representing evaluators from across the United States and in 60 countries, seeks to improve evaluation practices and methods and increase the use of evaluation in all fields of endeavor. Goodyear, who holds a PhD in program evaluation and planning from Cornell University, has significant experience leading complex evaluations of local and national programs and systems. She has conducted evaluations in both formal and informal educational settings that serve youth, with a recent focus on programs aimed at broadening participation in the STEM fields. Earlier in her 13-year tenure at EDC, Goodyear took a leave to serve as a program officer at the National Science Foundation, where she administered national grants programs, supervised evaluation and research contracts, and developed directorate and division-level evaluation policy. She has been an active member of the evaluation community, serving as the associate editor of the American Journal of Evaluation, a past board member of AEA, and former chair of the AEA Ethics Committee. Her election will be formally recognized at Evaluation 2016, AEA’s national conference in October 24–29 in Atlanta, where Goodyear and her EDC colleagues will also present several sessions.